Since I scanned this book and took the time to share it, I'd like to make a simple comment, support the Authors you enjoy and buy their books, I do and then I scan them. But do buy Hardcovers or else great writers like Richard North Patterson will cease to write. Its only fair that we support those who bring us such joy. And in addition, sharing books should be fine, after all before digitalization we all did including authors. Lastly, Bohica 60 of Mobilism is a megalomaniac, because he thinks he can push his weight around because he is a moderator. Maybe if you were more like a human being people would do things out of kindness. Enjoy the book. It was the Monday morning before they killed him. I didn’t know then that he existed. Or that I would help change that. I dealt with swindlers, not killers. I was crossing Capitol Hill, the part that looks down Pennsylvania Avenue toward the White House. It was only ten minutes since I’d left my apartment, but already the morning clung to my shirt. The air felt like steam in a closed bathroom after a hot shower. A torpid sun seeped through a haze of humidity and fetid exhaust fumes. Washington August, thermal inversion time. Three years had programmed me for the walk. It took me across Constitution Avenue toward D Street, past the fountain and the reflecting pool. The cherry trees which lined the walk had long since lost their blossoms and had a tired disappointed look. On the other side of D Street sat the square opulence of the white marble Teamsters office, built for deserving officers by grateful members. I turned down D Street and walked toward a huge cement building of New Deal vintage with hundreds of glass windows. A blue and white sign in front read “United States Economic Crimes Commission.” Pushing through the glass doors, I flipped my ID card to the black, uniformed officer who guarded the agency from the public and other subversives. Cerberus at the gate. His obsidian eyes regarded me impassively. Daily, I tried to imagine what he thought. Daily, I failed. He pushed back the card. I cut through the artificial wood lobby and took the elevator to the third floor, marked “Prosecutions Bureau” by a smaller blue and white sign. The bureau handled the big stock frauds, consumer swindles, and political corruption cases, choice stuff for the dedicated public servant. But the three years had made a difference. I straggled toward my office, in no hurry. On this floor, the paneling had been swapped for grey cinder blocks which lined corridors as crabbed as a rat’s maze. I walked through the grey catacombs and past the door marked “Special Investigations Section.” Inside was a large open room jammed with metal desks and secretaries and bordered by offices. The section was packed; two happy faces peered out of each office. I glanced over my shoulder at the schoolroom-type clock. 9:15. I was late again. I went to the office marked “Christopher Kenyon Paget, Trial Attorney,” walked across my grey tile government rug to my armchair of specially molded indestructible grey plastic, and sat at my antique grey metal desk. My secretary peered in gingerly, as if testing the atmosphere with her forehead. “Good morning, yourself.” But I smiled. I liked Debbie—and she could type. Among the ECC secretaries, that was a rare combination. She smiled back and stood in the doorway. “If I’d ever tasted Woolite stirred with a cow chip, I imagine I’d know.” The corners of her mouth cracked upwards, then broke into a smile. She was dark and pretty and had a prettier smile. I liked to see it. I got up and headed reluctantly out the door. McGuire’s office was located off another central area. These offices had wooden desks, upholstered chairs, and, as further marks of federal status, featured single occupancy and an unobstructed view of Capitol Hill. The blue sign near McGuire’s door read “Joseph P. McGuire, Chief, Prosecutions Bureau.” Next to the sign was Joseph P. McGuire himself, staring fiercely out of a framed Newsweek cover entitled “The ECC’s Tough Enforcer.” Grouped around this were several pictures of McGuire in conference with other great men, such as Lyndon B. Johnson. The bare spot in the middle of the collection represented Richard Nixon, now an unperson. Directly below sat the curator of this cult of personality, McGuire’s secretary, blonde, chubby, and fortyish. As always, she looked like a complacent munchkin. She swiveled her round little body in my direction. “Mr. McGuire is waiting for you, with Mr. Feiner,” she said in her round little voice. In this case, it carried a tinge of disapproval. “Am I late?” I asked innocently. McGuire’s office was standard federal executive: plastic wood paneling, a money green rug, wooden desk and conference table, and Venetian blinds. Save for an inscribed pen set—a gift from his staff—the desk was bare of personalizing touches, and the walls were as stark. The total effect was that of a room rented by the month. The only fixture in the place was McGuire. He sat at the end of the conference table, fidgeting with an air of impatient expectancy. McGuire was the only man I knew who could pace sitting down. But for this and piercing blue eyes, he could have passed for a struggling encyclopedia salesman. He had red-brown hair and a middle-aging potbelly hung on an average frame. His clothes were a baggy afterthought. But McGuire somehow invested these plain materials with an arresting vitality. Even his paunch seemed aggressive. My immediate boss was there to provide an audience. Feiner had black curly hair and the rapt ascetic look of a man seized by some compelling inner vision. It had taken me about two months’ acquaintance to perceive that the inner vision involved McGuire’s job. McGuire was either too self-obsessed to notice or too secure to care; he let Feiner dog him like a skinny shadow. I suspected that McGuire was fonder of pets than people. McGuire stared at me a moment longer, as if I’d insulted him. Then he leaned back from the table and eyed the ceiling, as if gathering his thoughts. Feiner assumed an expression of grave attention. “This is a very sensitive thing,” McGuire began. “Do you know William Lasko?” McGuire asked. My three years made the question insulting. McGuire knew it; he was reminding Feiner that he could make me do tricks. I wondered if I should roll over and beg or stick my paw out to shake hands. “What are you going to do?” he demanded again. I smiled back, half at McGuire’s one-upmanship and half to admit that he knew his job. 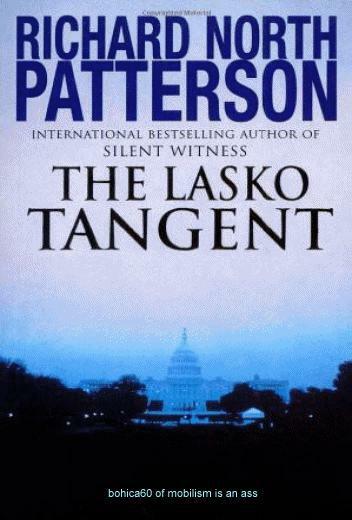 “Assuming those idiots in Records haven’t lost the Lasko file,” I said, to remind him that nothing was perfect. His smile strained wider. It was a good time to leave. McGuire looked stung. “There’s nothing wrong with talking to our own Chairman,” he snapped. Technically, he was right about that. But the repetition of the words “White House” seemed to diminish him. The restless body slumped. For the first time I wondered whether McGuire wanted to be a commissioner. He had said that before. “I haven’t yet,” I answered quietly. He knew that was true. Some other people knew it too. It was the main fact that kept me sitting in McGuire’s office instead of cleaning out my own. But the problem was bigger than Hartex or I. Something had gone sour in McGuire’s psyche. The drive to achieve had turned into an addiction to praise. His staff aped him and outsiders plied him with obsequies. It was as if McGuire was presiding over his own memorial service. Newsweek had done him in.